Every spring a little patch of red and yellow tulips pop up in my backyard. I didn’t plant them, perhaps it was the previous owner. Regardless of the years, the weeds, the fall leaves that never get raked in that part of the yard, they manage to find their way through. This year I found only yellow. Where did the red go? I can’t say that I’m sad to see only the yellow, I actually prefer them. 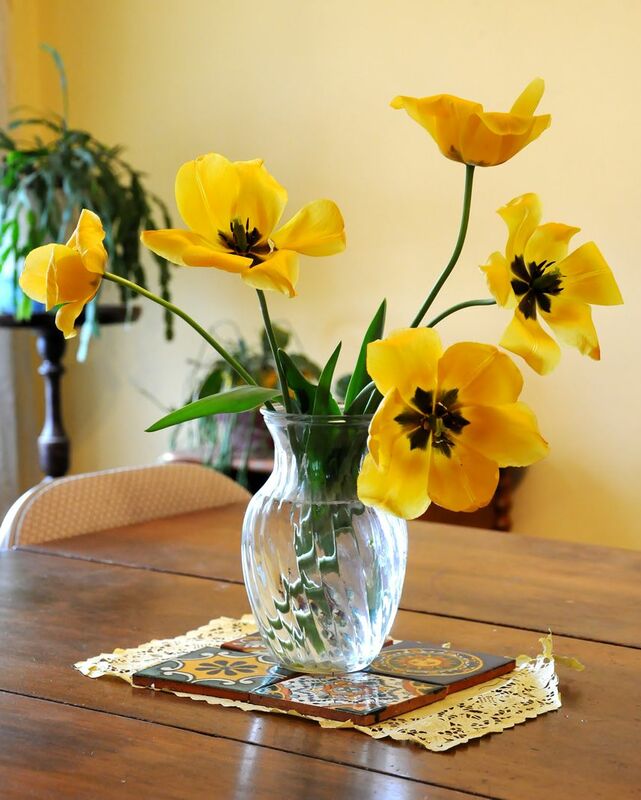 My dining room is yellow anyway. It’s like living in sunshine. It’s nice to know that even though my gardening days are finished and the weeds are taking over, some elements of beauty survive and break through. It’s kind of like a metaphor for life – leave something beautiful behind that will blossom anew year after year. Oh, how I love the yellow! It seems to express happiness. 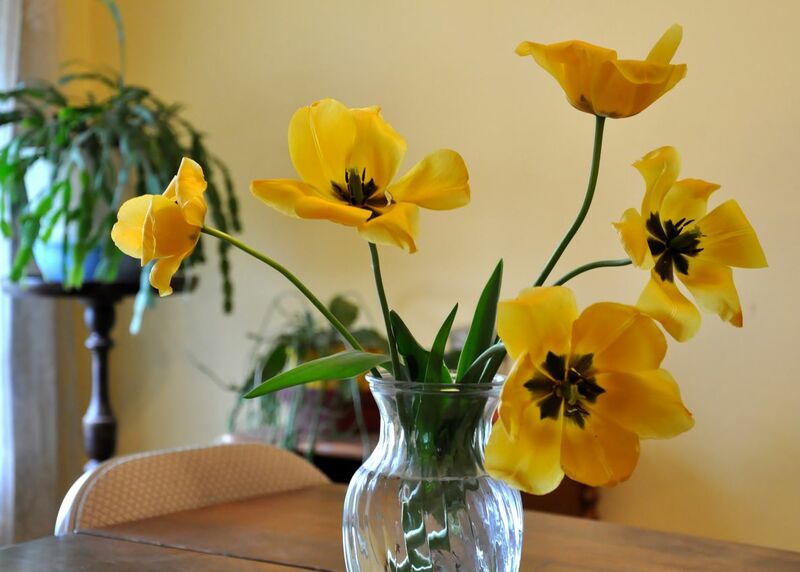 I love the way tulips seem to move around in the vase, making slightly new arrangements day by day, opening ever wider. These yellow ones are gorgeous. Yes I agree, they seem to know how to move themselves. Thanks for stopping by and for your supportive comments.